As the law stands now, wine and cannabis cannot be produced on the same licensed property. Nor can a winetasting room sell cannabis. But folks are working on changing that. 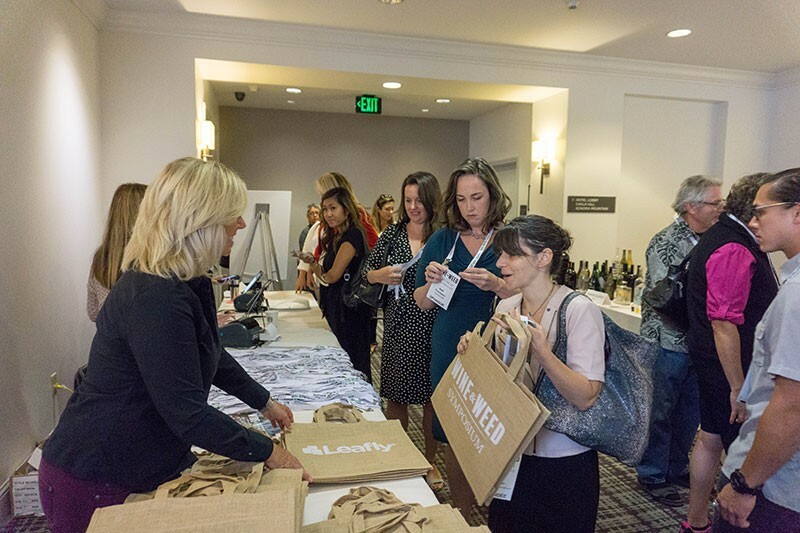 This past Thursday's Wine & Weed Symposium at the Hyatt Vineyard Creek in Santa Rosa attracted a sold-out crowd of more than 200 attendees from the wine and cannabis industries. The event, organized by the Wine Industry Network, will go down as a historic meeting of the minds. "I've been waiting most of my life to see these two groups come together," said Hezekiah Allen, executive director of the California Growers Association, a cannabis industry trade group. Lay a map of the North Bay's wine country over a map of cannabis country, and you'll see a great deal of overlap—and revenue potential. But that overlap is only theoretical. The thicket of state laws and pesky federal prohibition prevent any joint ventures. While there is certainly a lot of money to be made in the booming cannabis market, Allen stressed that it won't come without work. "The biggest misconception is that this is easy money," he said. Because of the cost of getting the 18 required state and local licenses, he estimates 70 percent or more growers will stay in the black market or find something else to do. California's cannabis industry is conservatively valued at $7 billion, and that's before recreational sales hit the market next year. The state's grape crop is pegged at about $5 billion, while the total value of the state's agriculture is $42.7 billion. "Now that cannabis is a regulated crop, it is going to be the big gorilla in the room," said state Sen. Mike McGuire in opening remarks to the symposium. While he extolled the quality of Northern California cannabis, McGuire said bringing the industry under regulation is going to take a while. The state has until Jan. 1, 2018, to create its regulatory apparatus, but he freely admits they'll miss that goal. "It's impossible. It's just too big of an industry." He says it will probably be five years before all the kinks are worked out. But the likely delay did nothing to kill the buzz in the room. The crowded vendor tables in the lobby revealed how easy it may be to integrate the two industries. Wine-industry vendors selling labeling, water testing, soil amendments and wine-cave services were ready to offer their products and services to dope growers. One cannabis entrepreneur predicted that the wine industry will soon own the cannabis industry. "They have the land," he said darkly. But, he added, the wine industry doesn't know how to grow weed and will need to partner with cannabis industry to realize their, yes, joint potential.